“And they lived happily ever after…” They are the words every little girl dreams of when she thinks of meeting the love of her life. A recent movie release has taken a classic fairy tale to the big screen in a way we’ve never seen before, and it’s bringing back the magic of an unlikely girl having all her greatest dreams come true. We’ve started a new generation of fans for this princess character, so expect birthday parties and tea parties to follow the theme. CK Products has unique and special ways to ensure the party is everything a little girl dreams of. Our favorite princess’s stepsisters couldn’t believe it when she arrived at the ball in beautiful gown and glass slippers, and many people can’t believe that you can actually bake a cake in a CK Products Pantastic® Pan! Pantastic® Pans are BPA-free and FDA-approved for food use, and can be used in the oven like a regular cake pan. Just make sure to place the Pantastic® Pan on a cookie sheet. 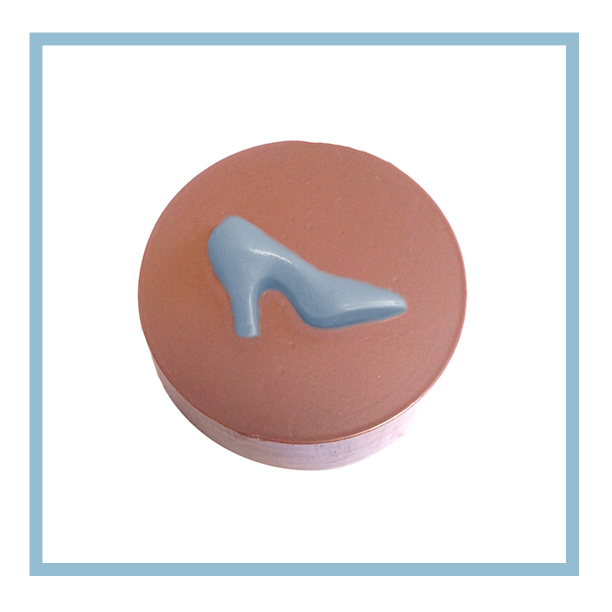 Recreate the princess’ stunning attire with a Princess Dress cake, or turn our Stiletto Shoe Pantastic® Pan into a glass slipper. Grab some CK Products Baby Blue Buttercream Icing and turn the Crown Pantastic® Pan cake into a beautiful crown fit for a princess who has just found her love. A party without cookies is no party at all, even a princess-themed party. 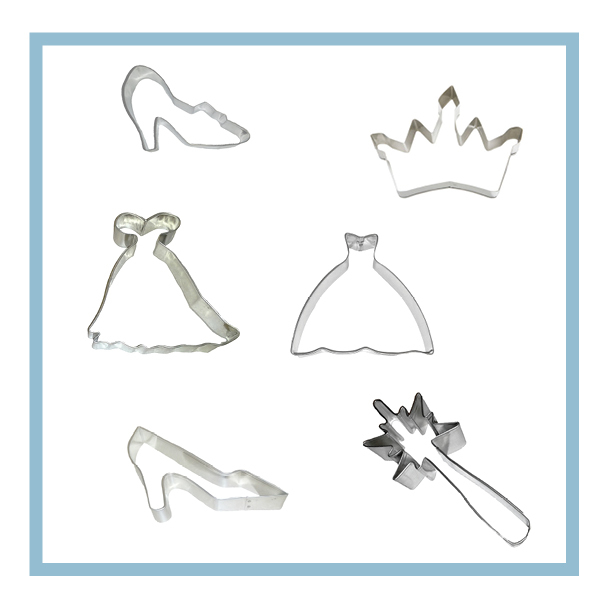 Consider making cookies in the shapes of ball gowns, glass slippers, crowns, or even magic wands. If you want a fun activity for your party and don’t want to decorate the cookies yourself, have party guests decorate them with fondant or buttercream. And, of course, serve with a tall glass of cold milk. Another way to impress your guests is to serve chocolate-covered sandwich cookies. 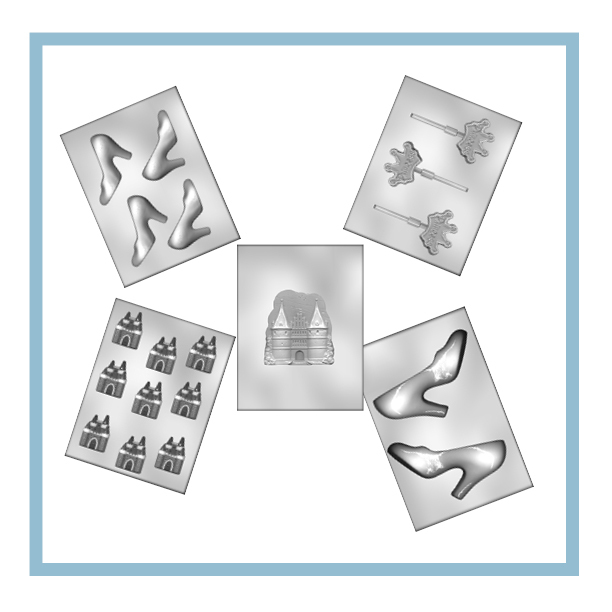 The High Heel Sandwich Cookie Mold is a great way to have a glass slipper on a cookie, and it combines every little princesses favorite things: chocolate and cookies. You can’t go wrong with cupcakes. They’re easy to make and decorate, and guests can even easily take one home at the end of the party. Even the simplest of cupcakes can be made princess spectacular with the right edible decorations, or throw some edible glitter on for a truly magical cupcake experience. Goodie bags have become a staple of all successful parties, so don’t send your party guests home empty-handed. Sure you can purchase some candy at the store, but why not be creative and make your own candy for a treat they’ll never forget? Use CK Products Chocolate Molds and confectionery coating to create chocolate masterpieces in the shapes of castles, crowns, and glass slippers. Throwing a great princess party also means beautiful decorations and fun party games. The right combination of food and fun will spread a smile across every little princess’s face. CK Products is a wholesaler that only sells to registered businesses. Not a business? If you see something you like, talk to your local cake decorating store to see if they carry CK Products. Or, use our “Find a Retailer” feature on our website to see what stores near you carry CK Products!